Properly functioning, flexible labour markets as well as the enforcement of modern-day human-rights and labour laws contribute to the competitiveness of markets – a key prerequisite for economic prosperity. Preserving and creating jobs at fair conditions is one of the greatest political challenges of our time. The vision here is to ensure equal treatment of religions, genders and generations. Upholding minimum standards for on-the-job safety, health, co-determination and equal opportunity is a must for employers. Job creation and living wages are fundamental drivers of economic development. Companies’ impacts can be positive or negative, depending on business practices. The graph depicts a density function of the distribution of average national real wages in 2000 and 2012. The peaks in the distribution indicate areas where a large part of average real wages accumulate. Within the last decade the peak on the left moves forward on the real wage axis. 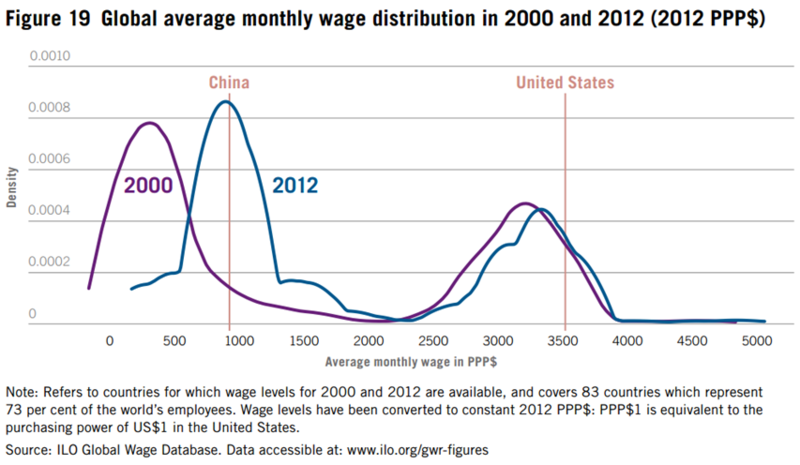 This indicates that the average real wages in countries at the bottom end of the distribution are increasing. The graph is based on available data on 83 countries and covers 73% of the world‘s employees. It was published by the International Labour Organization (ILO) in the Global Wage Report 2014/15. The younger companies are, the more jobs they create, regardless of their size. Taking the risk to build a business creates benefits beyond the interests of its owners and contributes to a growing economy. It provides people with jobs and allows them to support their lives economically. At the same time, there are large differences in the way in which companies treat their workforce, often depending on the geographical region and the position of a job in a firm’s hierarchy. The economic and social value of a newly created job also depends on how it affects the employee. Beyond generating profits and shareholder value, successful companies also develop human capital. Internal training programs and employee freedom to develop new ideas contribute to a firm‘s ability to persist in an environment of constant competition. Motivated people are more productive and create more value. But education and internship programs aren‘t all that matters. Companies who actively fight poor labour conditions and pay fair living wages are less likely to face reputational damages and legal issues. Apart from moral considerations there is therefore also an economic rationale to consider such factors as an investor. 102 labour days per 1000 workers are lost in France per year due to strikes. In Switzerland this figure amounts to 4. Swiss employees work for 1894 hours each year on average. That‘s 14 hours more than employees in the United States. Business startups account for only 3 percent of employment but almost 20 percent of gross job creation in the U.S. When assessing a company‘s labour footprint we consider various sources. The UN Global Compact, for example, publishes helpful guidelines regarding human rights both in general and in the workplace environment. 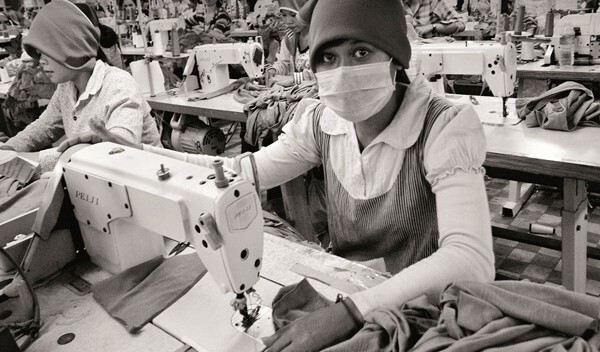 The International Labour Organization (ILO) reports on wage developments, labour conditions and recently published a report investigating the role of labour in economic development. Additionally the World Bank‘s Statistics division publishes data on child labour, income inequality and many other indicators relevant to labour concerns. Among these main pillars, we use information disclosed by national research entities and statistics divisions as well as information published by the private sector.